So I’ve blogged through the Rule of St Benedict in a haphazard way for the past several months, the goal being to consider what wisdom St Benedict may hold for us today. This was inspired by having blogged through Rod Dreher’s The Benedict Option. This post is, then, a roundup of all the Benedict posts from both sources as well as before I started this journey — just in case you were late to the party or missed something along the way. I’ve divided it into three parts: Blogging Benedict, The Benedict Option, and Other Benedict(ine)-related Posts. I do believe that St Benedict’s Rule is a source that can help us in our own path of discipleship and make more disciples. Enjoy this table of contents to my thoughts on it! Done Blogging Benedict: What Now? Final Thoughts on The Benedict Option: Take the Initiative! Happy Feast of St Benedict! Belief and Understanding: Anselm, Augustine, William of St Thierry — and YOU! 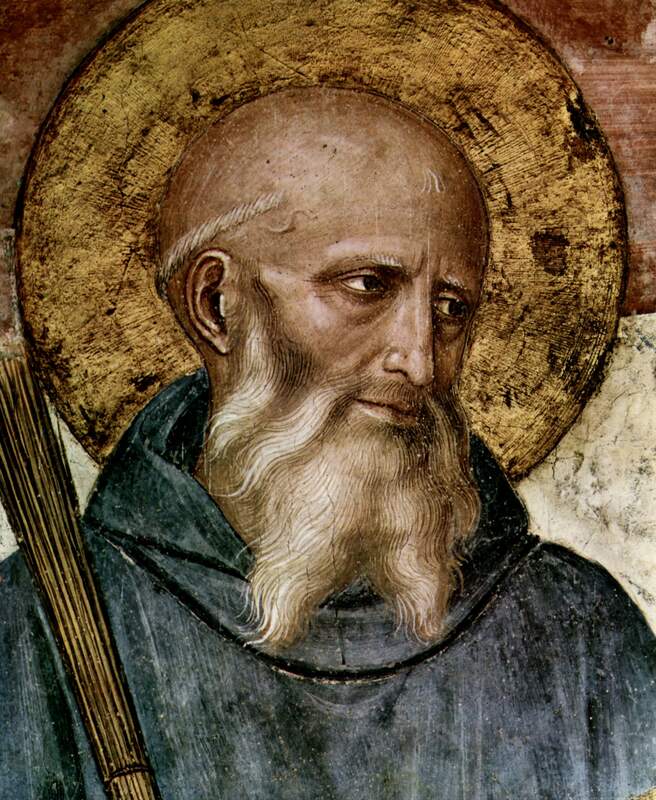 For the past several months, after I finished Rod Dreher’s The Benedict Option (through which I also blogged my way), I’ve been creeping my way through the Rule of St Benedict. Next week I’ll round up all the Benedict(ine) material on this blog. For now — what now? 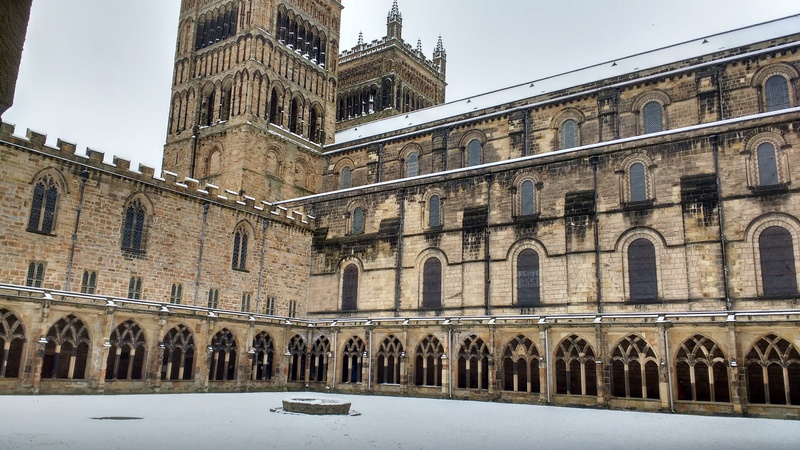 There are many lessons we can take away from the Rule, many of which are thrown into sharper relief when considered alongside Scripture, the Rule‘s context, other monastic literature, and later Benedictines. My own lumping mind has tended to do this. If you want those in detail, enjoy. But, having come to the end, what should we be doing now, with this mid-sixth-century rule for beginning monks, designed in central Italy to run a school in the Lord’s service that, due to several historical events in the text’s history, became the norm for western Christian monasticism from about 800 onward? Prayer. Regular, routine prayer. Sort it out. Make yourself a little prayer rule. Join us at The Witness Cloud. Scripture reading. Get on that, too. Figure out a rhythm of reading and studying the Bible regularly. Work — usually physical, but maybe illuminating manuscripts or whatever. Seek how to glorify God in your work. Community. This, for me, is always the hardest (at least in person). Find a way to invest in your church, the other Christians around you, your family, et al. Figure out how to go deeper, how to find that tantalising, elusive spiritual friendship written of so beautifully by the great Cistercian St Aelred of Rievaulx. These are the biggest, I think. One could add: submission to fellow believers and church authorities. That would probably revolutionise our lives in ways we can’t imagine. What is great about these, though, is that they point us not back to Benedict or to the history of Christian monasticism and spirituality, but back to Jesus, to the Most Holy Trinity, to the Body of Christ, the church. Let us set our minds on things above. This is what Benedict envisaged. It is a message as timely now as in the year 540. But … if you do want more ancient monks, check out Benedict’s influences, especially John Cassian, and his contemporaries, such as the Greek fathers in The Philokalia, vol. 1. Then, maybe cross the Irish Sea and rest with St Brigid. And whatever wisdom you find there to apply, take it all to Christ. Enter more deeply and richly into the mystery of his love. This is what the great mystics, contemplatives, preachers, ascetics, and others of the rich tradition of Christian spirituality would call you to. Prefer nothing to Christ (The Rule of St Benedict, ch. 72). An immediate concern of many Protestants when they meet a text such as the Rule of St Benedict will undoubtedly be, ‘What about the Bible?’ First, as I observed in my post on the Rule of St Benedict’s last chapter, St Benedict does not believe that his little rule for beginners is the be-all and end-all of the Christian life, nor even the first or best place to look for instruction. He upholds, first and foremost, the Bible. In fact, the Rule is saturated with the Scriptures. Benedict quotes the Bible on almost every page. Many of the rules governing the life of his monks are based directly on biblical precepts or principles. Some paragraphs include whole chains of biblical citations. Benedict is using the Bible throughout the Rule; it informs him at almost every turn. Not only this, but he continually recommends reading the Bible and integrates it into monastic life. If you want to learn holiness, St Benedict will tell you to read your Bible. From what I can tell, the Bible is the main book read by Benedictines (and other sixth-century monks) during times of lectio. They are spending hours of every day reading and thinking about Scripture. This emphasis on Scripture and it study will pervade the history of Benedictine monasticism in its various forms. Looking at the hand-list of Durham Cathedral Priory’s manuscripts (it is not a complete description of each manuscript’s contents so there are likely some commentaries I’ve missed), we find at least 69 manuscripts containing parts of the Bible; many of these are glossed, and an entire pandect Bible from the Middle Ages is rare; the Bible is huge when written by hand on parchment, even in minuscule hands. I also identify 33 manuscripts of commentaries and Bible reading aids; more are undoubtedly there, since I see many famous Bible commentators in the list, but I don’t have time to hunt them down. From another approach, consider a few Benedictine types. The Venerable St Bede (672-735) is well-known for his Ecclesiastical History of the English People, but most of his life was devoted to writing commentaries on the Bible. In the generation after Bede, Alcuin (735-804), besides working on correcting the biblical text of the Vulgate, wrote on Song of Songs and Genesis. Hrabanus Maurus (780-856) also wrote commentaries on the Bible. Or consider St Bernard of Clairvaux (1090-1153), the famous Cistercian father — one of his most popular and famous works is a commentary on the Song of Songs. William of St Thierry wrote commentaries and aids to biblical interpretation. Moreover, if you read the works of the Benedictine tradition that are not Bible commentaries, they demonstrate a strong familiarity with the Bible and are informed by biblical theology at every turn. Besides these approaches to Scripture, Benedictines sing Psalms and have multiple Bible readings at each of the seven offices. The monastic life of the Rule is saturated in Scripture as a result. Indeed, I’ve always thought it grimly funny that in the Scottish Reformation, the Tironensians (a reforming order like Cistercians) of Arbroath were allowed to live out their last days in peace at the abbey so long as they didn’t sing the office! The office is approximately 90% Scripture if not more. The strict office of the Rule is one of the most Presbyterian things in the Middle Ages — a cappella Psalms, after all!! So, fear not. One of the first pieces of wisdom to take from the Rule of St Benedict is: Read the Bible. Mark the Bible. Inwardly digest the Bible. Meditate on Scripture, pray Scripture, study Scripture. If you want to know the path to holiness, read Scripture. What follow are my initial notes jotted down when I finished read the Rule of St Benedict this time. They are edited slightly for clarity. So now I have finished RB. What does it mean? How can it change my life? First, I guess the balance between prayer and work. Contemplation and action. Too busy not to pray. 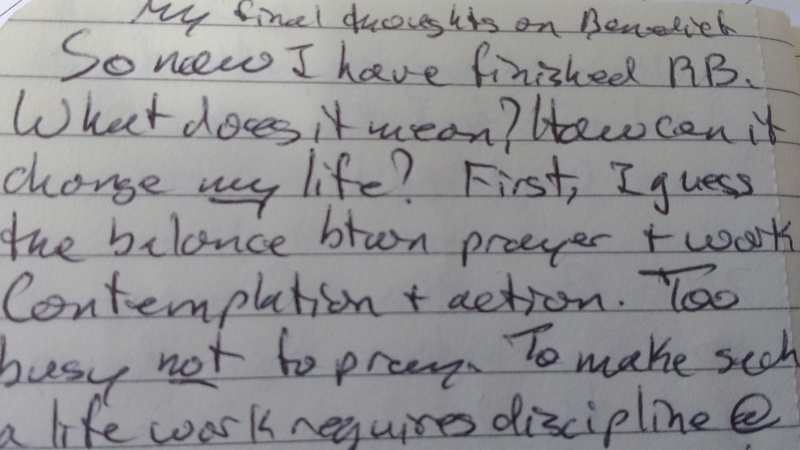 To make such a life work requires discipline at both prayer adn work. NO wasting time. Setting regimens. This I hope to be able to do. But it cannot be done alone. The Witness Cloud, my wife, yes. Anyone else? As far as lectio goes, I don’t read enough Bible, and not very well when I do. Again, discipline. Again, my wife. Obedience — submission and service. Done wilfully, this a great good. I need to grumble less. Pray about that. Back to reading — stop starting new things all the time! A discipline of stability in books, like I first thought when M was born. Back to prayer. I must MAKE TIME. I think I can do Evening Prayer. Also, Jesus Prayer. 11:00 alarm not for nothing!! Should I look into becoming an oblate? Third order Franciscan? Ask wife. Pray. The rest of this regulates communal life. I am in no capacity to speak on that. What all the old ascetic texts have that grabs me is a sense of immediacy. Christ is here now. We are to strive for holiness now — no dilly-dallying. Now is the day of the LORD. We can find Christ. We can be consumed with the Spirit. We can become all flame. Holiness is attainable (by grace). We just have to seek God, seek the Holy Spirit, immerse ourselves in prayer, Scripture, disciplne. I am inspired by lofty ideals but oh so weak. I find some aspects of late ancient asceticism too much. Onouphrios, Mary of Egypt, boskoi, encratism. St Simeon’s maggotty wound. That saint Theodoret tells of who wore an iron undershirt. But — they had ideals! A bit crazy at times, encratism. But none of this comfortable coasting to Christ. The Apostles, martyrs, Desert Fathers, Benedictines, did not imagine that the road to the Kingdom of God was a La-Z-Boy. It is narrow. 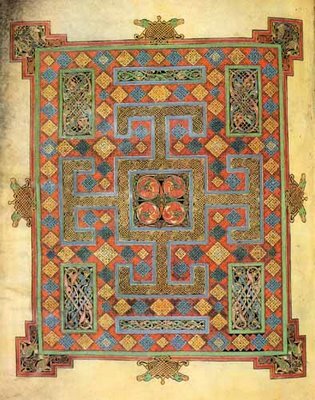 It is steep — Syriac Liber Graduum. That icon I saw at Alpha Mega [of the people going up the wide, easy path getting thrown from a cliff to dragons, and others carrying crosses up a narrow path to Christ] (should’ve bought it!). Too often, we Prots just rest easy on cheap grace. The cost of non-discipleship. The great omission. How can we live holy lives NOW in our context? It doesn’t matter if you are Quaker, Anglican, Roman Catholic, Eastern Orthodox, Baptist, Coptic, you can find wisdom in the ancients, wisdom that can help you apply the lessons of the Bible and live biblically, growing in grace and charity. We need to recruit not only ourselves but our communities — spouses, children, friends, congregation. Living like this is counter-cultural, so it needs true community, rich Christ-rooted fellowship, to make it happen. The old texts often assume that ascetic monks are the only ones ‘saved’. But think on the Macarius the Great story about the baker in Alexandria who was holier than he. Most married people in the anecdotes told by late antique monks live ‘chastely’. But we can still adapt these texts for our lives! St Benedict also says, ‘We are lazy.’ I wonder what he would think of our undisciplined, cheap-grace Christianity? Somehow, we should overcome spiritual laziness (which can be one outcome of akedia, one of the eight deadly thoughts). What I find interesting is that St Benedict does not think that his rule is the main place for that. It is simply for beginners, to set up a coenobium that is neither too harsh nor too lax. Yet for many today (myself included), this Rule is itself an enormous challenge. We write so many books and commentaries on the Rule (I’ve read only that by Esther de Waal, Seeking God: The Way of St Benedict), or books inspired by Benedict (I’ve read Rod Dreher, The Benedict Option, for example). At Durham Cathedral bookshop, there is essentially a whole shelf of Benedictine books. Adalbert de Vogué wrote a multi-volume commentary on the Rule. RB 1980, Latin with English and commentary, takes over 500 pages, while the Little Black Penguin with no intro or anything takes but 114 little pages. We can’t help ourselves — whatever its intrinsic worth, the Rule has been used in so much of western European religious culture for so long that many of us who want to go deeper in our faith have to come to terms with it along the way. But St Benedict points us away from himself. First, to the Bible. This is a prime lesson. 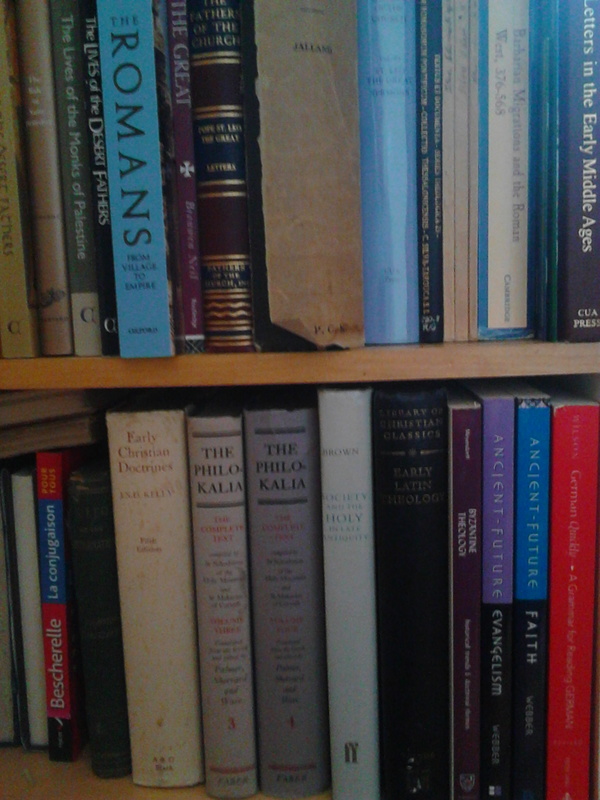 People like me are very good at paying our lip service to the supreme glories of sacred Scripture, and professing it as God’s primary, normative mode of revelation, as holding authority, etc., and saying that it nourishes us — and then neglecting to read it ourselves, due to probably a variety of sins, weaknesses, and passions (I’ve already read it twice; I know theology; I keep meaning to but run out of time; I find it dry some days; I find biblical truths in other books, anyway). Search the Scriptures. Read, mark, and inwardly digest them (okay, that was Thomas Cranmer). And so the Rule is done. Next: Benedict and the Bible — I’ve already hinted at it here. Before I completely lose steam, I am going to give you my notes on some later chapters of the Rule, and then my final posts will by ch. 73 (the end), Benedict and the Bible, a Benedict overview, and then a Benedict round-up. That will hopefully have this series done by the end of the next week. Chapters 68, 69, and 71 are about obedience beyond the abbot and the Rule. The monks are not to band together in rebellion. This is a thing that happens every once in a while; it happened to Benedict (see Gregory the Great, Dialogue 2), it happened in a nunnery as discussed by Gregory of Tours (History IX.39-43), it happened to various monastic founders and reformers throughout the Middle Ages. Given that we are called to mutual submission (Eph. 5:21), to be the servant/slave of all (Mk 9:35), obedience to fellow Christians seems only like a natural extension of biblical teachiong. How do we get the beneficial fervour of chapter 72? Monasteries are not meant to be tourist attractions or places that are easily left. From its beginnings, monasticism was a retreat from the world, even if in practice the grace of God kept the monks from having outside contact. The Life of Antony from St Athanasius was a story of him moving to progressively more remote and inaccessible places, ending at ‘the inner mountain’. In Gregory’s Dialogue 2, we read of Benedict fleeing to become a hermit because of the dissolute life he saw at Rome. The cloister is part of this withdrawal. It is an architectural feature that is inherently inward-looking. I suspect it is descended from the peristyle of the ancient Roman domus, but its function is not simply to provide shade from the head or dry from the rain but to connect together as many of the buildings and rooms of the monastic complex as possible — oratory/chapel, dormitory, chapter house, refectory, library, infirmary. Nevertheless, Benedictine monasteries, self-sufficient though they are, cannot be totally cut off from the world. They interacted with the world in several ways. First, they provided hospitality to visitors. Second, they provided care and assistance to the poor. Third, they sold the produce of the monastery to provide for themselves. Fourth, in practice (that is, not according to the ideal in the Rule), many Benedictine monasteries became places of community worship. The purpose of the monastery, nevertheless, is to provide a haven from the distractions and care of the world, a place to seek hesychia and to find God’s grace that will calm the human heart to teach it how to pray, providing time and space for meditation on Scripture. To this end, monks who journey (ch. 67) must say nothing of what they saw outside. This is like idle chatter and idle curiosity. It is not the business of monks.